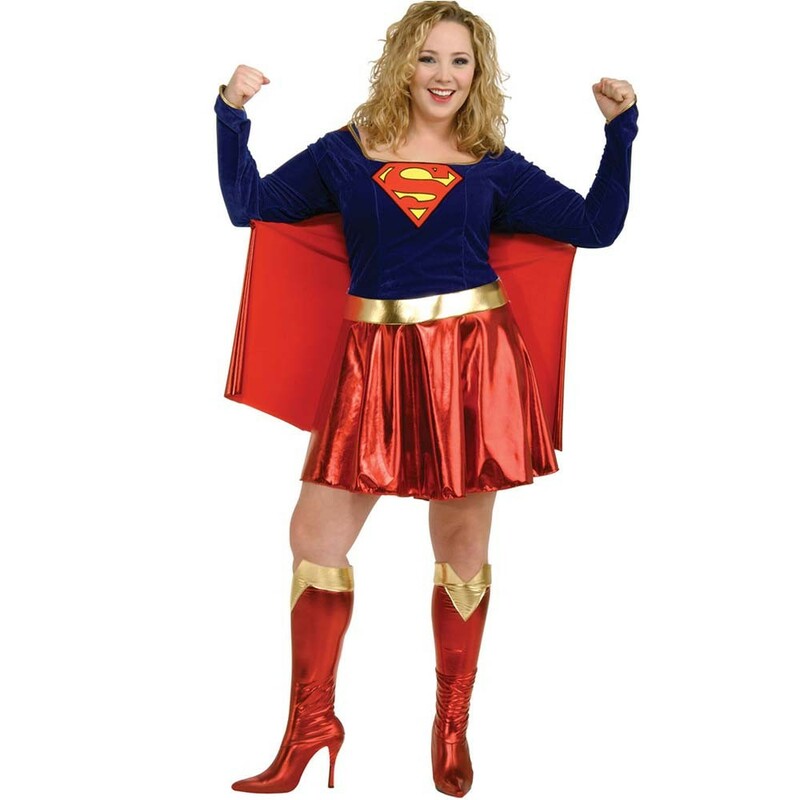 Go all out with this fabulous Supergirl Plus Size Costume, perfect for any Superhero, Film or Comic Book Character. This fun outfit includes Dress with Cape, Belt and Boot Tops. The dress is in the classic blue and red design with a blue top section featuring the classic ‘S’ symbol, and shiny red skirt bottom. Also included in this great Supergirl Plus Size Costume is a shiny golden belt and a pair of matching red shiny boot tops with a gold rim at the top. This Supergirl Plus Size Costume is ideal as a single outfit, or partner up with your Superman! Dress (with attached Cape), Belt and Boot Tops.